If your kid’s at the start of preschool or day care, know that all sorts of illnesses that kids spread around will sweep your household. Not only will your child contract a sickness, but it’s likely everyone else will get it too! Here are a few of the most common contagions to look for! 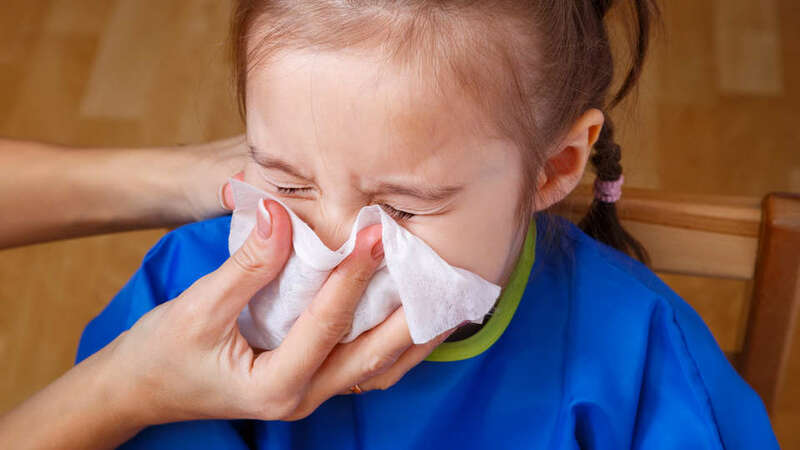 It’s normal for young kids to have at least eight colds a year because they’re yet to build up their immunity, and with preschool they may catch even more because of all the grubby hands, snotty noses, coughs and sneezes. 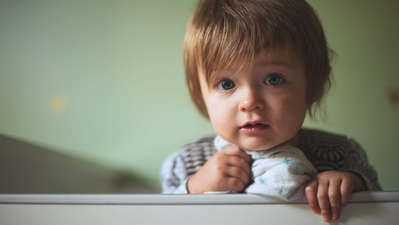 Other symptoms of colds include sore throats, high temperatures and ear infections (one telltale sign is catching your little one tugging at their ear or telling you it’s sore). Keep them home for at least a few days, administer paracetamol or ibuprofen, keep the fluids up, see your doctor for professional advice and give them lots of rest and cuddles. 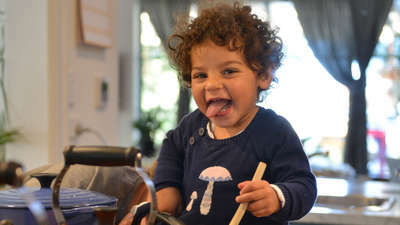 Signs that your child might have more than just a runny nose or sore throat include chills, body aches, vomiting and diarrhoea; plus the flu normally comes on faster and harder than a regular cold. More common in winter and highly contagious, it often lasts for a week or longer and can sometimes develop into a more serious condition such as pneumonia. Best to see a doctor straight away if you suspect flu in case medication is required, but the good news is you can give children a flu vaccination from the age of six months to help reduce their risk of contracting it. Very common in children under five, croup is a viral infection. Unpreventable, it starts out as a normal cold but then develops into an inflamed throat and windpipe resulting in a hoarse voice, noisy breathing and loud, bark-like coughing fits (which all get worse at night). It usually only lasts a few days when symptoms are mild, and in this case rest, fluids and paracetamol are recommended. However, croup can also become more serious where children are unable to breathe. So if your child won’t settle, is lethargic, has a fever that won’t quit or has trouble breathing; then see a doctor immediately. 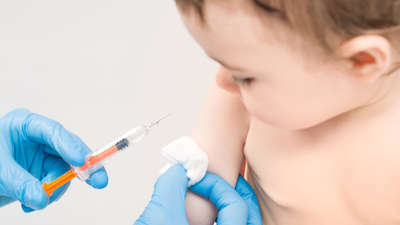 Most kids are now vaccinated against whooping cough but it has been rearing its head again lately due to the anti-vax movement. Extremely infectious, it starts with a dry cough, which develops into intense coughing with a ‘whooping’ noise. Other symptoms include a fever, runny noise and vomiting after coughing. Luckily if your child is vaccinated, their chances of getting it are slim and if they do it will be a lot milder. It is, however, extremely dangerous for babies and pregnant women. If your child does catch it, unfortunately the incubation period is between six and 21 days so they might be off preschool for a while, and antibiotics are definitely required. It can be really hard to see your child struggling with vomiting, stomach cramps and diarrhoea – the most common symptoms of a tummy virus (such as gastroenteritis). Most take between a few days and a week to clear up, and usually only rest and comfort is required but just make sure they get plenty of fluids as dehydration can lead to more serious problems. Sounds gross, and it kind of is. Signs of hand, foot and mouth are painful sores in your child’s mouth and throat, often with red blisters that also appear on their hands and soles of their feet and can last for up to ten days. Ibuprofen, rest and fluids are the best treatments. Conjunctivitis is where the tissue lining the eyelids is inflamed with the telltale signs being red and crusty eyes, yellow discharge and blurred vision. It’s highly contagious and antibiotic drops are usually required, however usually they will only be out of preschool for a day or two. Here are another two illnesses seeing a resurgence of late. Chicken pox symptoms include an initial fever followed by super itchy, red spots, which turn into blisters and scabs; while measles starts with a cough, fever and watery eyes before a red rash appears. Paracetamol and calamine lotion are the best treatments; however as they’re both highly contagious your child will need to be kept at home for anywhere up to a few weeks. Measles and chicken pox are particularly dangerous for young babies and pregnant women. Okay, so technically they’re not illnesses but they can be easily spread at preschool and are also really irritating for your child (and you). Scratching of the head and visible white head lice eggs (nits) are all signs of lice; while an itchy bottom, trouble sleeping and visible worms in their poo or undies is a sign of those wriggly nasties. Treatment is required in both cases, but luckily it’s easy with products you can find in the chemist or supermarket and generally no time off from preschool is required. If your child is unwell and presents with any of the above symptoms of the illnesses listed, be sure to make a visit to your GP for professional advice on diagnosis and treatment. So there you have it! Preschool illness 101 – don’t be scared, just be prepared!